A play on old-school track style, the Nike Sportswear NSW Women's Woven Skirt has a ribbed, striped waistband and woven fabric for a soft, sporty feel. 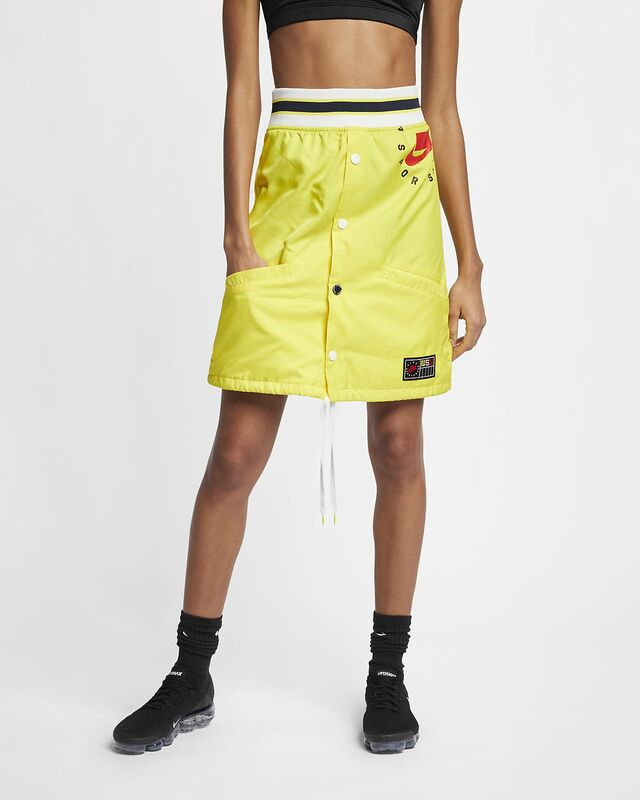 A play on old-school track style, the Nike Sportswear NSW Women&apos;s Woven Skirt has a ribbed, striped waistband and woven fabric for a soft, sporty feel. Design is a playful spin on old-school track style. Snap front offers styling versatility. Ribbed waistband is striped for a sporty finish. Hem drawstring lets you adjust the fit. Nike Sportswear block logo is printed at the hip. Fabric: Body: 100% polyester. Lining: 100% cotton.